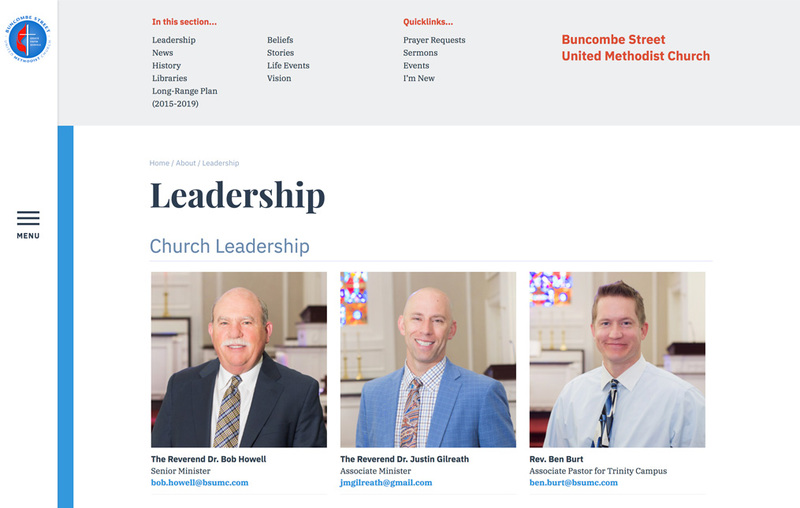 Buncombe Street United Methodist Church has been a fixture in the Greenville community for over 150 years. 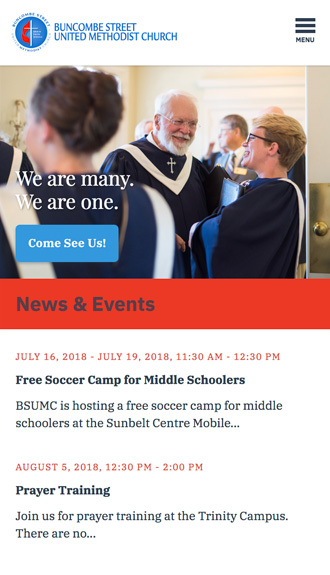 Today, the thriving congregation meets across two campuses and is known for its dedication to serving the community and the church. 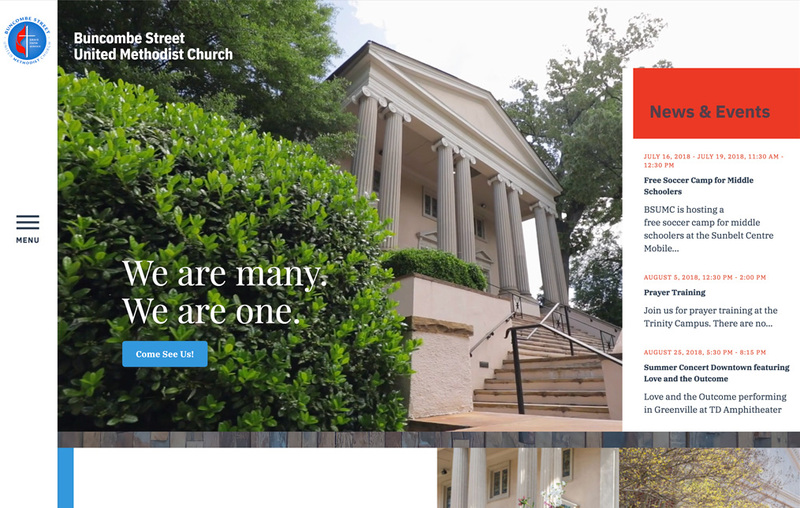 Beam & Hinge worked with Buncombe Street to create a website that captures the church’s rich history and propels the church forward with the energy characteristic of its congregation. 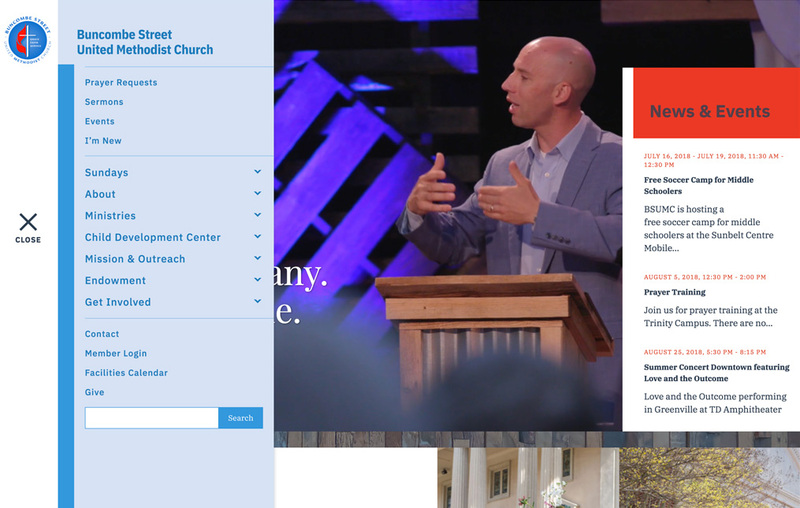 With a design created to bring value to multiple audiences, the website serves as an engaging welcome for visitors and a robust resource for the congregation. 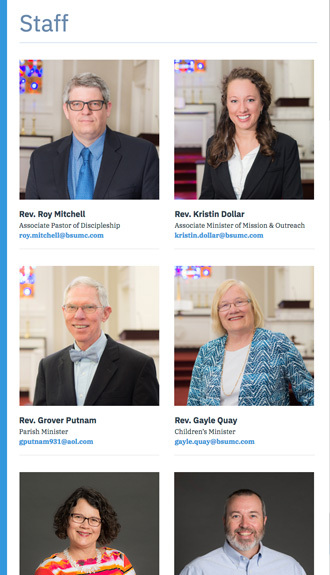 Stories from real people whose lives have been touched by Buncombe Street are featured throughout the site, highlighting the profound impact the church has on the Greenville community. 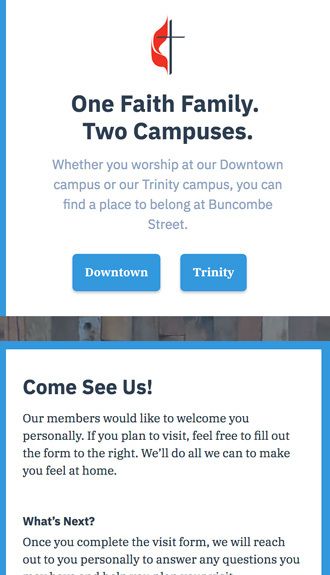 Beam and Hinge gave us structure and professional guidance while still being responsive to Buncombe Street's unique needs and desires. Their organized approach kept everyone on task and the project on schedule, and it was exciting to see the tremendous progress each time we met. The result is just the warm and welcoming online presence we were hoping for.